Unwanted guests are never fun, especially when you can’t ask them to leave. Luckily, Trophy Club pest control companies have no problem kicking them out. Whether there’s a rodent in your basement or insects in the attic, call your local Trophy Club exterminator to take care of them — do not try to wrangle them out yourself! Not sure which type of home pest control service in Trophy Club, TX can tackle your issue? Read profiles and ask about their past experiences to get a good idea. 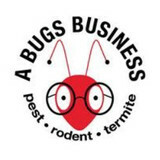 Our mission is to provide our customers with safe and effective pest, termite and wildlife services at an affordable price. We understand how stressful it can be when your home is invaded by unwanted pests, but rest assured our friendly and professional technicians will offer a solution and restore your peace of mind. 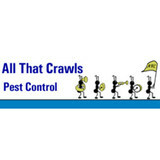 We are a local family owned and operated company, with over a decade of experience dealing with pests, termites and wildlife. We are an accredited member of the Better Business Bureau, with an A+ rating. At KatieBug we know how crucial customer satisfaction is, so we treat our customers as if they were family members, and ensure 100% satisfaction. 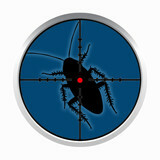 Simply put, we will protect your home or business from all types of pests - guaranteed! As a result, the majority of our business is repeat or customer referrals. We go the extra mile to assure our customers satisfaction and results. We focus our attention on inspecting so that we can eliminate the problem as quickly as possible and less intrusive to the client. Mosquito Force is the premier mosquito misting system installer in the greater Dallas Fort Worth Metroplex. 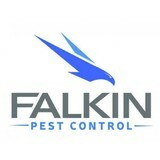 We provide mosquito misting system installation and service that allows for optimum mosquito control. Our misting systems kill mosquitoes and many other bugs so that the residents of Dallas Ft Worth can enjoy their backyards. Mosquito Force utilizes the latest mosquito misting technology in order to provide the highest quality mosquito control and mosquito prevention for the best price. Our mosquito misting systems kill mosquitoes much more effectively than mosquito magnets, mosquito repellants, and other mosquito control devices. Call or click to request an estimate today. 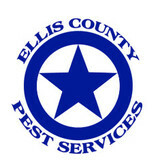 Mosquito Force proudly serves the entire Dallas Fort Worth Metroplex including: Plano, Park Cities, Richardson, Frisco, Allen, McKinney, Rockwall, Rowlett, Arlington, Garland, Mesquite, Coppell, Forney, Waxahachie, Mansfield, Addison, Corinth, Colleyville, Fairview, Farmers Branch, Flower Mound, Grapevine, Irving, Lewisville, Murphy, Prosper, Sachse, Southlake, and The Colony.